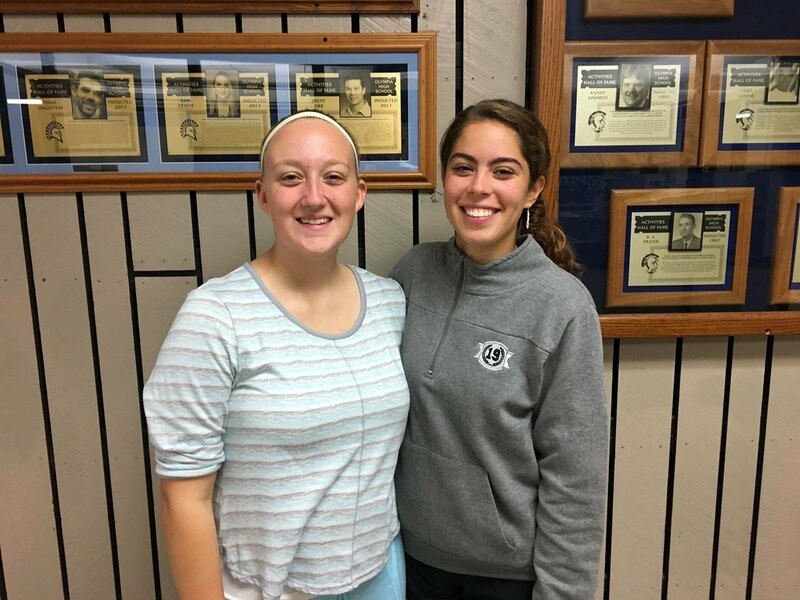 Congratulations to seniors, Hannah Birkey and Marissa Horning, who were recognized as Commended Students in the 2019 National Merit Scholarship Program. Commended students are recognized for the exceptional academic promise demonstrated by their outstanding performance on the qualifying test used for program entry. About 34,000 Commended Students throughout the nation are being recognized for their exceptional academic promise. Although they will not continue in the 2019 competition for National Merit Scholarship awards, Commended Students placed among top 50,000 scorers of more than 1.6 million students who entered the 2019 competition by taking the 2017 Preliminary SAT/National Merit Scholarship Qualifying Test. These women have demonstrated outstanding academic success. These students represent a valuable national resource recognizing their accomplishments, as well as the key role their schools play in their academic development, is vital to the advancement of educational excellence in our nation. We hope this recognition will help broaden their educational opportunities and encourage them as they continue their pursuit of academic success.